British Beach Volleyball athlete Chris Gregory was welcomed to Ringwood School on 15 March to meet with Year 10 PE prefect students and talk about his journey from student to sporting star. Bournemouth-based British Beach Volleyball athlete Chris Gregory spoke to Ringwood School students on 15 March about his incredible journey from student to Team Great Britain, after being selected to be become part of the Sporting Giants programme. This scheme was launched by Sir Steve Redgrave ahead of the 2012 Olympics to identify young people with the potential to display talent in sports such as volleyball. Chris succeeded in being selected for the 2012 Olympics but unfortunately, due to the cuts in sports funding, was unable to compete. Chris is now training to represent Team England in the Gold Coast 2018 Commonwealth Games. He demonstrated the traits needed to become a successful athlete such as dedication, determination and resilience via a series of fun, interactive games with the Year 10 PE prefect students. 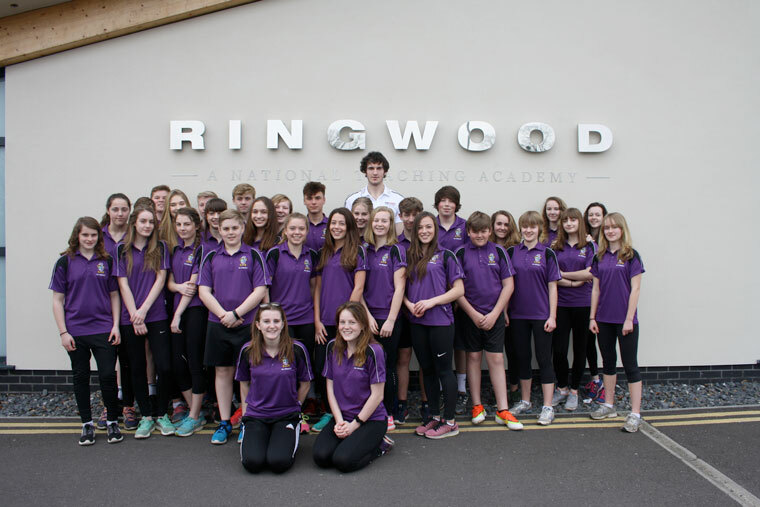 As PE prefects, these students run lunchtime sports sessions with younger students at Ringwood School and act as role models across the school. Chris is also a Sky Sports Living for Sport Ambassador and regularly visits schools to inspire young people.